Royalty. 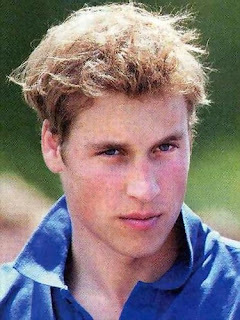 Born Prince William Arthur Philip Louis Windsor, on June 21, 1982, the eldest son of Diana, Princess of Wales, and Charles, Prince of Wales. 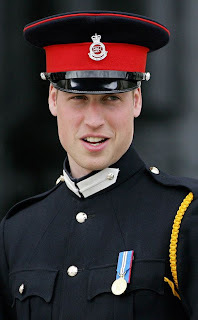 His official title is His Royal Highness Prince William of Wales. William attended Mrs. Mynor's Nursery school in West London (1985-87), Wetherby School in Kensington, London (1987-90), and Ludgrove School in Wokingham (1990-95). In 1995, at the urging of his grandfather, the Duke of Edinburgh, Prince William (nicknamed "Wills") entered Eton College, one of England's most prestigious secondary schools. A serious student with excellent grades, he also excelled in sports at Eton, particularly swimming. With his father and brother, he enjoys outdoor sports including riding, skiing, shooting and fishing. As he is directly in line to the British throne after his father, Charles, he spends a good deal of time at Windsor Castle with Queen Elizabeth, who is very concerned with his upbringing and career development. 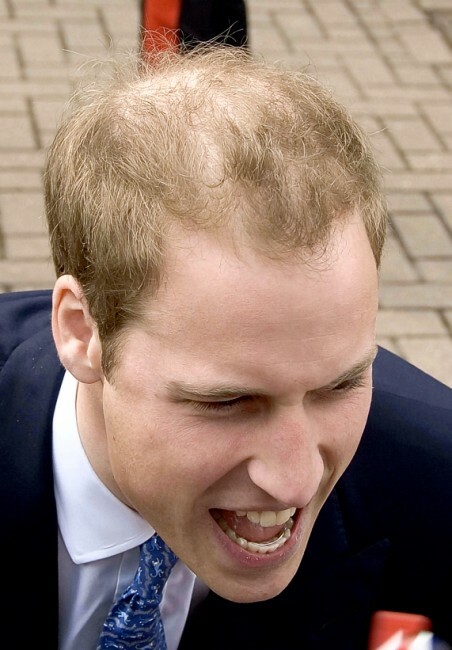 Affected by both his parents' divorce in 1996 and his mother's tragic death in 1997, the tall and handsome young William publicly stated his dislike for the press, and expressed discomfort with the growing attention he received from love-struck adolescent girls. William gives the impression of being a well-mannered, responsible and mature young man who shows a strong sense of duty and loyalty to the royal family, fully aware of the role he is to play in the future as the King of England. Upon his graduation from Eton, William took a break from his studies to visit South America and Africa. He then attended Scotland's St Andrew's University, where he received a degree in geography in 2005. Following in the footsteps of his younger brother, Prince Harry, William joined the Royal Military Academy Sandhurst as a military cadet and received his commission as a second lieutenant in the Household Cavalry in December 2006. In 2008, he was appointed to be a Royal Knight Companion of the Most Noble Order of the Garter. He is now training to be a search and rescue pilot with the Royal Air Force. Along with his military career, William supports numerous charities, including serving as patron to Centrepoint, an organization for homeless youth, and the Tusk Trust, which is dedicated to the preservation of African wildlife. In 2007, William and his brother Harry hosted a special concert to celebrate their late mother and raise funds for charities that Princess Diana supported during her life as well as charities supported by the princes. 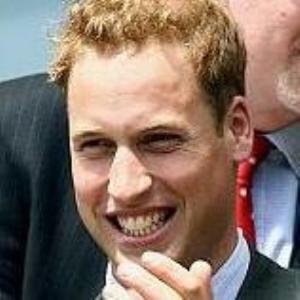 As the future king of England, William's personal life has been the subject of much media attention. He had been romantically linked to Kate Middleton; the couple met while attending St. Andrew's University. Rumors of a possible engagement swirled around the pair for months, but to the surprise of royal watchers, the couple announced that they were splitting up in April 2007. However, in the time since that announcement, Middleton had attended several public and official events, as well as traveled on vacation with Prince William. Speculation about a wedding engagement between Prince William and Kate Middleton continued to swell. Catherine Elizabeth "Kate" Middleton (born 9 January 1982) was the former girlfriend of Prince William of Wales, elder son of Prince Charles, the Prince of Wales and the late Diana, Princess of Wales, and second in line to the throne of the United Kingdom. Born at the Royal Berkshire Hospital in Reading, Berkshire, England, Middleton is the elder daughter of self-made millionaire Michael Middleton (born 1949), who was an airline officer at the time of her birth, and his wife, the former Carole Goldsmith, who was an air hostess. Her parents now own Party Pieces, a mail order company that sells children's party paraphernalia. She has a younger sister, Philippa ("Pippa") and a younger brother, James. Middleton was raised in Bucklebury, Berkshire, in the south of England. She went to St Andrew's School, Pangbourne until she was 13 and then attended the public school Marlborough College (the same school William's cousin Princess Eugenie of York attends), where she passed eleven GCSEs and three A-level exams. Like the Prince, Middleton was a student at the University of St Andrews in Fife, Scotland. She graduated in 2005 with a 2:1 (Upper Second-Class) MA (Hons) degree in History of Art.